I’ve seen a house fly, I’ve seen a dragon fly, I’ve even seen a needle wink it’s eye. Disney and a Transformers:Age of Extinction writer wants to make sure you’ve seen everything, when they make a live action elephant fly. 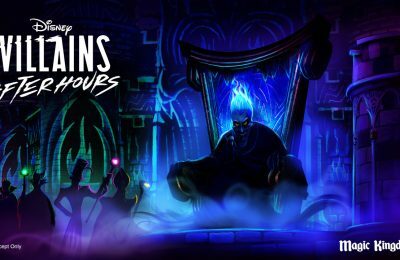 The film is ramping up at the studio as Disney brings classic animated films to life again on the big screen as live action adventures. The big question is how will this impact our favorite theme park rides? According to Variety (click here) Disney is putting the film on the fast track. The studio already has live action versions of Cinderella scheduled for next year, a sequel to the live action Alice in Wonderland, a new Jungle Book film and the newly announced live action Beauty and the Beast films in the works. What tone will Dumbo take, however? The original film (released in 1941) is filled with racist character profiles, and arguably is about being bullied based on someone’s looks. 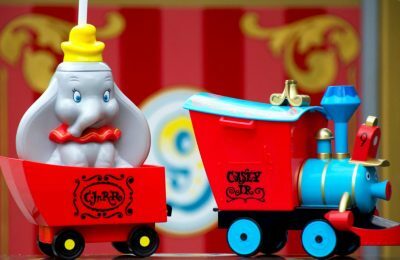 So will Disney continue that storyline of the little elephant with unusually large ears who is bullied into greatness? 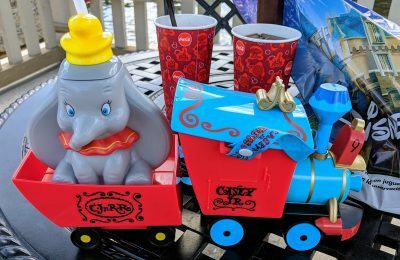 The biggest question for us is, what does this mean for theme park attractions based on the flying elephant? The Alice in Wonderland remake was turned into a “Mad Dance Party” at Disneyland. The dragon and crows remain the most significant part of the all new Festival of Fantasy Parade at Magic Kingdom in Walt Disney World, which were inspired by the new film Maleficent, which is a retelling of Sleeping Beauty. Most famously was the addition of Captain Jack Sparrow, Davy Jones and Blackbeard to Pirates of the Caribbean. 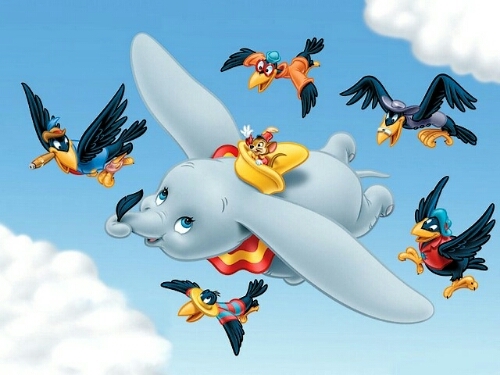 So, if a live action Dumbo is successful, what could we hope to see as a result? Our favorite idea would be a “flying” coaster with realistic animatronics that give you the sensation of flying with the giant eared wonder. Of course, there’s already the iconic spinning ride that takes riders up and over the area to get that flying sensation. That ride was so popular that it spawned a second ride at Walt Disney World’s Magic Kingdom when The New Fantasyland was built. It would be possible that that particular attraction could also see an update. Stay tuned as we bring you even more from Disney. Be sure to get social with us on Facebook, and follow along with us on Twitter @BehindThrills for the latest updates!